Special events require special attention. Our entire restaurant may be booked for your private function where we can accommodate any gathering from a cocktail party with appetizers to a multi-course sit down dinner. We’re available for brunch, luncheons and dinner parties. Celebrate the times of your life with our signature cuisine. Whether it’s a baptism, 1st Communion, bridal shower, milestone birthday or a team building dinner with colleagues, Romi’s authentic Italian specialties will please every guest. Create a custom menu just for your event. We’ll help you choose the perfect mix of dishes and even make drink suggestions to complement cuisine selections. 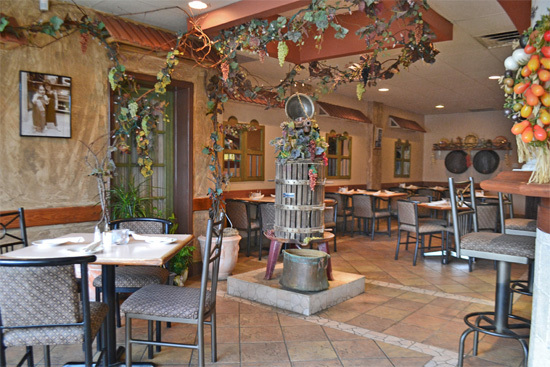 Enjoy the intimacy of our Mediterranean styled dining room which accommodates up to 50 people. Plan your next special event by calling Paula or Jerry @ (416) 233-5885.